Forget Tweet Ups and Meet Ups. We had an impromptu meeting of “Women Shopping Who Work in the ‘Green’ Sector” last Saturday while wandering through the shops in Newport! It was the embroidered ECOBAGS® totes in the window that caught our eyes. 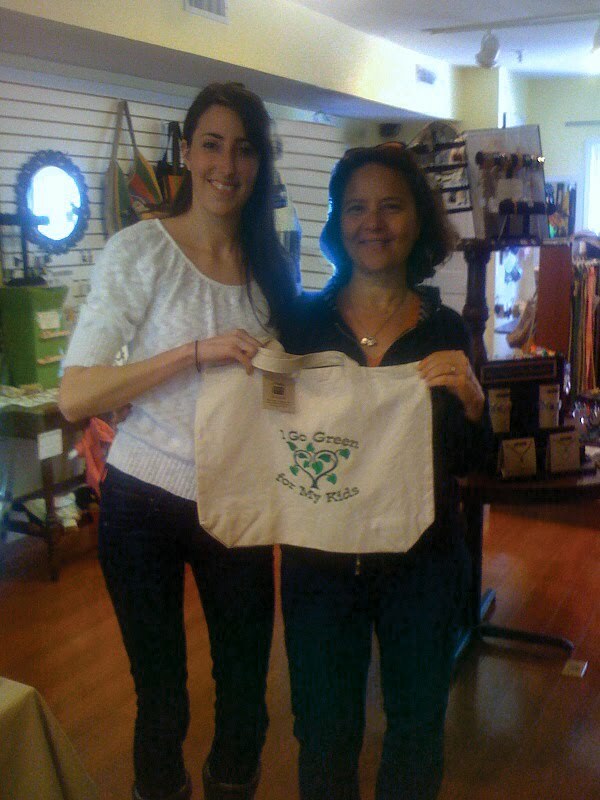 Rachel Lessne is the owner of Green Envy, a small store filled with fair trade and eco-friendly products. Her shop just won awards as “Best Eco-Friendly Store” from the 2009 Rhode Island Monthly Editors’ Poll and “Best New Store” from Newport Life Magazine’s 2010 Reader’s Poll. We met her on the day she was scheduled to get her picture taken for the Newport Chamber of Commerce for her “Best Micro Business 2010” award! She’s a star! While we were in there Pamela Ardizzone wandered in and joined the conversation. It turns out she owns Green Machine PR. I think we would have hung out and talked longer except that the Pamela’s kids were at the doorway saying, “C’mon Mom,” in that adorable, exasperated way that kids say it when mom is, yet again, chatting with strangers. We exchanged cards, I scored a fabulous new bamboo shirt and on we went. For more info visit Green Envy’s Eco-Store online or stop by and say “hi” to Rachel in beautiful downtown Newport, Rhode Island.